Purchasing a blow dryer is not something many of us do that often, and when we do most of us usually don’t give it that much thought. However, with the wide breadth of options and price points out there today, maybe it is time to learn more about what is out there. 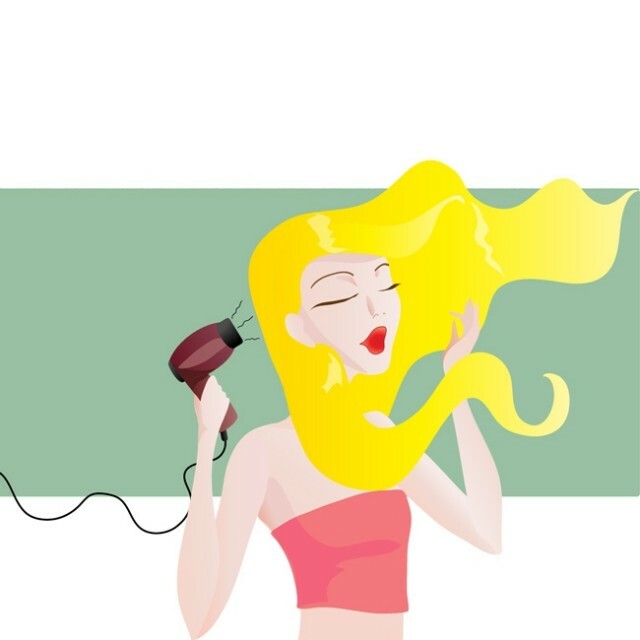 Believe it or not, choosing the right hair dryer for your hair type will make all the difference! Any blow dryer labeled “ionic” is a must for frizz-prone hair and thick, coarse hair. Why? Ionic dryers release negative ions which break down water molecules more quickly, letting hair dry faster to lessen heat exposure and therefore reduce damage. What’s more, these negative ions help to keep the hair cuticle closed to lessen moisture loss, smooth hair, add shine, and reduce frizz. Tourmaline is a mineral that is crushed into a fine powder and used within the components on the inside of a blow dryer. A dryer manufactured with tourmaline will emit less harmful infrared heat and boost production of negative ions, providing enhanced benefits vs. a blow dryer labeled just “ionic”. Therefore, a perfect choice for those with frizzy hair or thick hair. Unfortunately, these benefits come with a higher price tag since tourmaline itself is expensive. While both tourmaline and ionic dryers are great for frizzy hair and thick hair, both are not necessary for those with straight or fine hair. In fact, many hair professionals say that tourmaline and ionic dryers lessen volume on those with straight, fine or thin hair. Another material used within the components of a hairdryer. The infrared heat of a ceramic blow dryer will distribute heat more evenly and is less harsh and damaging, making it a great choice for anyone with fine hair or hair that is weak or damage-prone. There are two key benefits of a purchasing blow dryer made with titanium. First, titanium helps to provide a consistently high temperature to dry hair quickly and, secondly, they are also lightweight to reduce strain on your arms! This is a big one. The higher the wattage you go for, the more power and airflow your dryer will have to get the job done quickly. As a guide, a blowdryer with 1875+ watts is considered “professional” strength. Around here, we always say the higher the better! As numerous hair care professionals will tell you, if you want to avoid heat damage you should dry your hair on the lowest possible level you can. For this reason, it is always good to look for a dryer that has multiple heat settings. The finer your hair is the less heat it can handle, so use those buttons accordingly! In addition to multiple heat settings, also look for a “cool shot” button. This comes in handy to use as the last step in your blowout to set your style. The cool air will also close the hair cuticle to reduce frizz and add shine. Most dryers come with a nozzle these days, but be sure the one you pick also has one too! It will help concentrate air to dry your hair faster. In addition, a nozzle is a MUST for those with frizz problems. Why? The nozzle will help to flatten the hair cuticle as you dry the hair to stop the frizzies. Also, if you have curly hair then you probably already know the benefits of using a diffuser to protect curl formation. What you may not know is that most blow dryer manufacturers have a corresponding diffuser that can also be purchased separately. Although an added cost, these will fit your dryer much better than your average random diffuser. Since you will be holding the dryer for a bit of time, it is important to consider the weight, especially since many of the more powerful hair dryers can feel a bit heavy. Before you buy, make sure you believe you will feel comfortable holding it for however long your hair takes to dry and style! As a reference, anything close to 1 pound or less is considered lightweight and easy to hold for most women. The cost of a dryer can be anywhere from $20 to several hundred dollars, such as this Dyson model at $399.99. The cheap ones do have heat, but less air power to get the job done quickly, so you put your hair at risk for more heat and more damage. As the old saying goes, “you get what you pay for.” That said, there is probably a happy place in the middle for you based on your hair type and budget.